Repairing or replacing your roof is not something that will have you dancing with joy. Unfortunately, it might be essential. However, having enough knowledge about roofing is not something too commonplace. You are therefore advised to go through the facts below in order to make your own decision about whether you should or should not hire a skilled roofer. We are confident that you will find the answer to your query here. However, be sure to contact us, the top roofing company in the region that has both the expertise as well as the experience to solve your problems atop your home. What is the time required to have a new roof installed? Again, it is variable. Sure, Los Angeles may not have a particularly nasty weather to contend with but the climatic conditions are sure to affect the duration of the job considerably. Be sure to have the contractor install the new roof when the weather is mild, however. From starting the job and finishing the entire process including cleaning up the area, most roof installations will be done within 3-4 days with a week being the maximum time required. What is the cost of a brand new roof? There is no single answer for this query. The actual cost will depend upon the brand of the shingles you choose plus the type and grade. Do opt for a roofing expert who would be able to keep you informed about the quality products and do the installation at cost effective rates. Hiring a contractor who offers the services at an unduly low rate might be foolhardy. 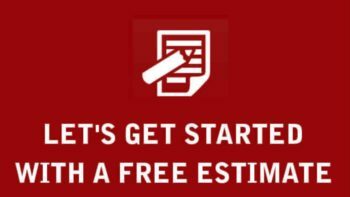 Do ask for estimates and choose a roofing professional who is known for his services. Is it possible to repair the roof or do I have to replace it entirely? Again, it will depend on the condition of the shingles. While a missing one or a damaged one can be repaired safely, it would be wise to get the roof replaced especially if you find the shingles decaying fast. The contractor employed to install it earlier may have done an inept job too making it essential to haul the entire roof off and repair it extensively. It might be cost effective to get it replaced totally in such a scenario though. However, it would have to be your call. Do I need to have a new roof installed? 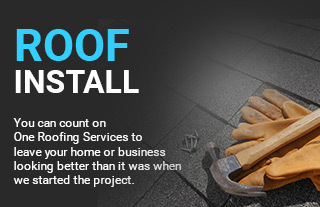 Do ask yourself if your roof has remained in place for more than 15 years. Do not hesitate to get in touch with us if your answer is in affirmative. Sure, the shingles may look undamaged yet the old ones especially that have served you well for decades did not come with the required warranty then. Do look for tell-tale signs of wear and tear and leaks on your roof even if your roof is relatively new and waste not a minute to consult the father-son duo for roofing solutions.